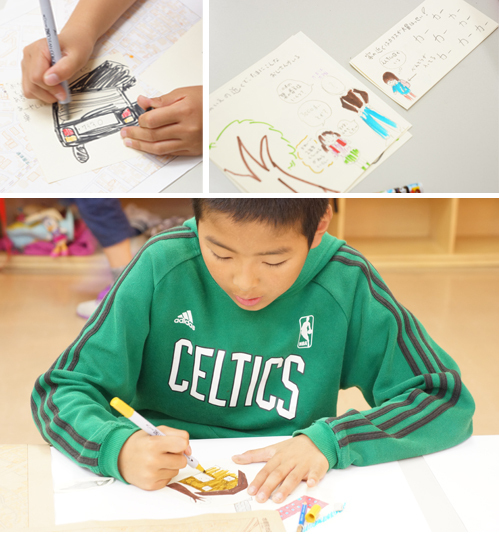 We look at different things everyday, but our memories are fuzzy, too. 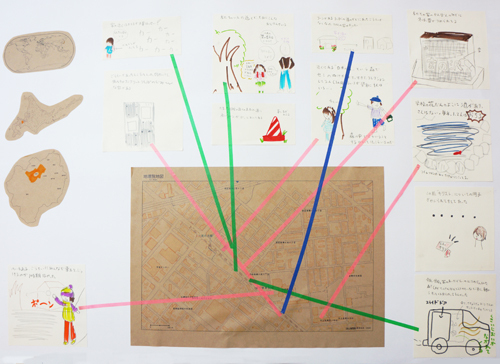 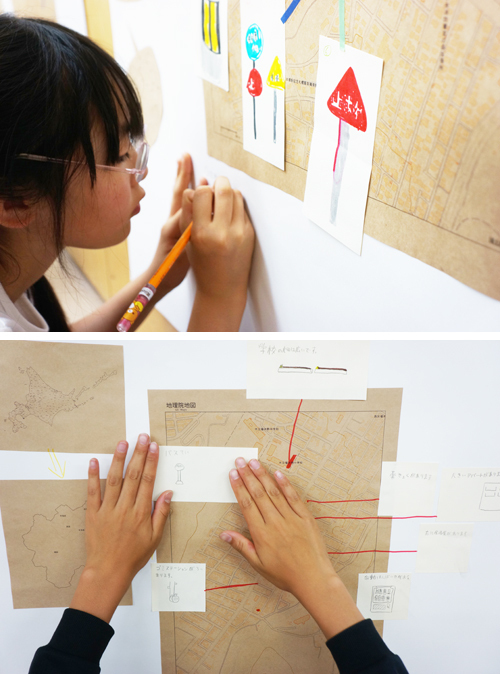 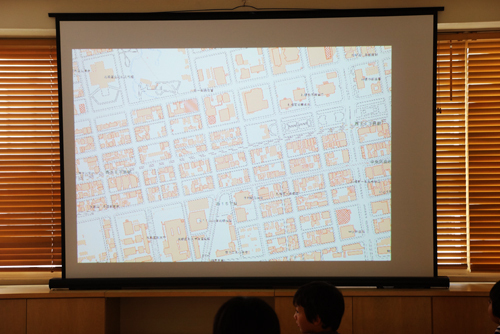 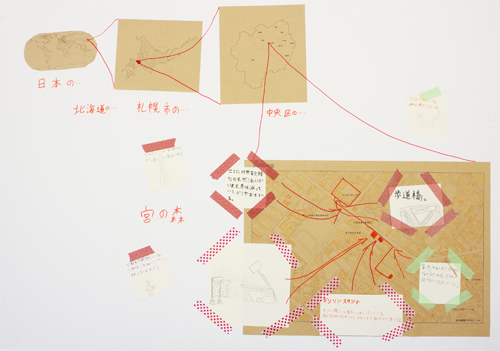 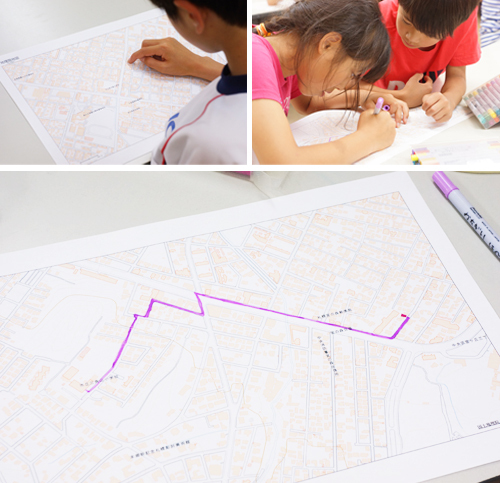 In this class, each child tried to remember the distance from their house to school and then drew a map, trying to guide anybody who looked at it. 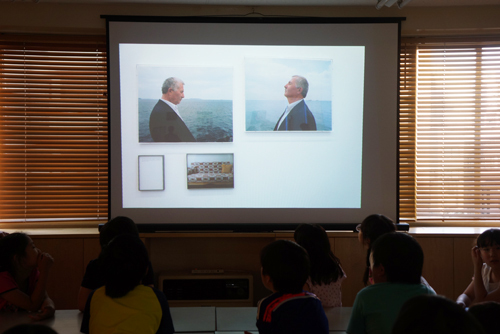 It was a chance to think again about what oneself watches and feels while going to school everyday.